This Quinoa Caprese Salad is the perfect summer salad made with tomatoes, fresh mozzarella, and fresh basil! 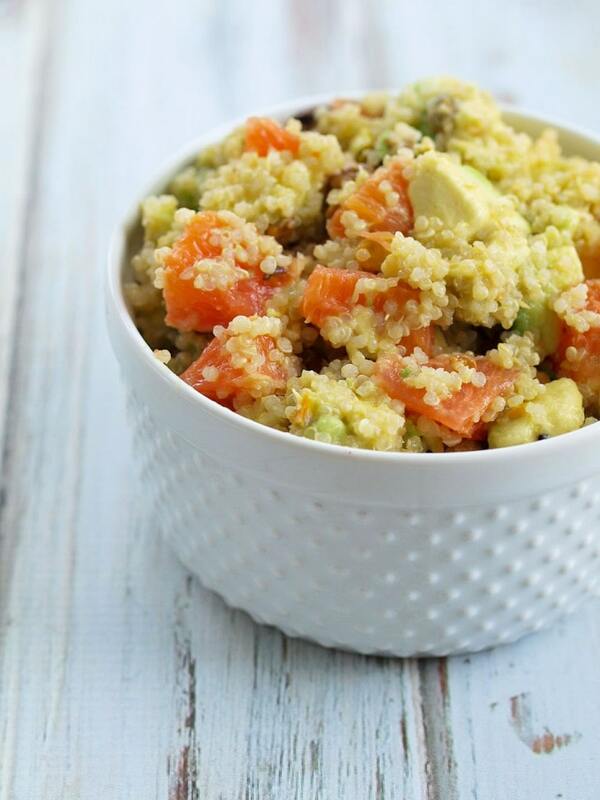 The quinoa adds bulk and protein, making this a heartier salad that can be a side dish or a light meal by itself! Tomatoes + Basil + Fresh Mozzarella is my jam all summer long. I put together a Caprese salad a few times a week when tomatoes and basil are in season. For this Quinoa Caprese Salad, I added quinoa to the mix. It was a very good decision. The result was a hearty, satisfying salad that I was instantly obsessed with. I knew I had to share it with all of you before summer was over so you could add it to your rotation, too. The Quinoa Caprese Salad is dressed simply with extra-virgin olive oil, balsamic vinegar, and salt and pepper. It’s all you need when fresh, summer tomatoes are bursting with flavor and you don’t want to compete with the signature flavor of the basil. To make this Quinoa Caprese Salad come together in a snap, you can cook your quinoa ahead of time. I recommend cooking the quinoa in stock to give it maximum flavor for this dish. I hope you and your family love this as much as we have! With quinoa, tomatoes, basil, and fresh mozzarella, this Quinoa Caprese Salad is a flavorful salad that’s perfect for a side dish or light meal all by itself! In a medium saucepan, bring the quinoa and vegetable stock to a boil. Reduce the heat, cover, and simmer for 12 minutes, until the liquid is absorbed. After the liquid is absorbed, remove it from the heat and keep the lid on the quinoa for 5 minutes to continue steaming. 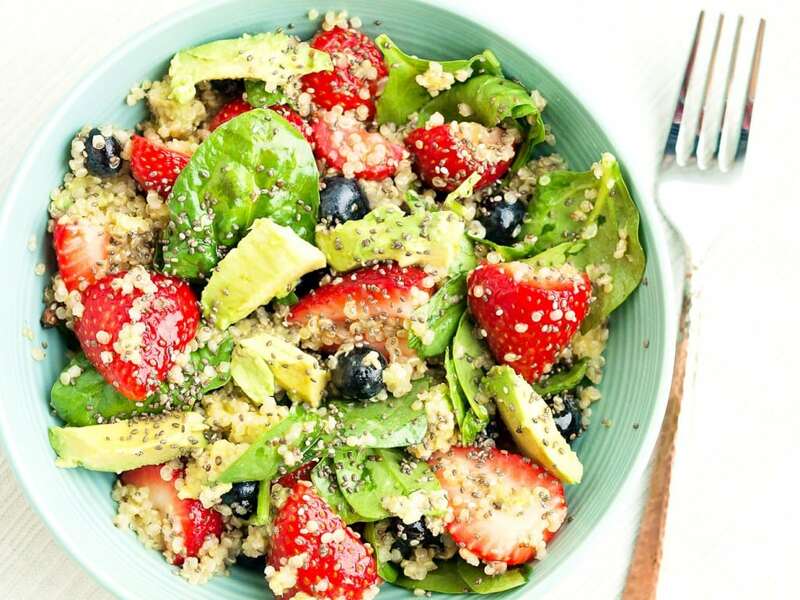 Allow the quinoa to cool completely before putting the salad together. In a large bowl, combine the cooled quinoa, tomatoes, mozzarella, and basil leaves. In a small bowl, whisk together the olive oil, balsamic vinegar, salt, and pepper. Drizzle it over the quinoa mixture and gently toss to coat. Enjoy! 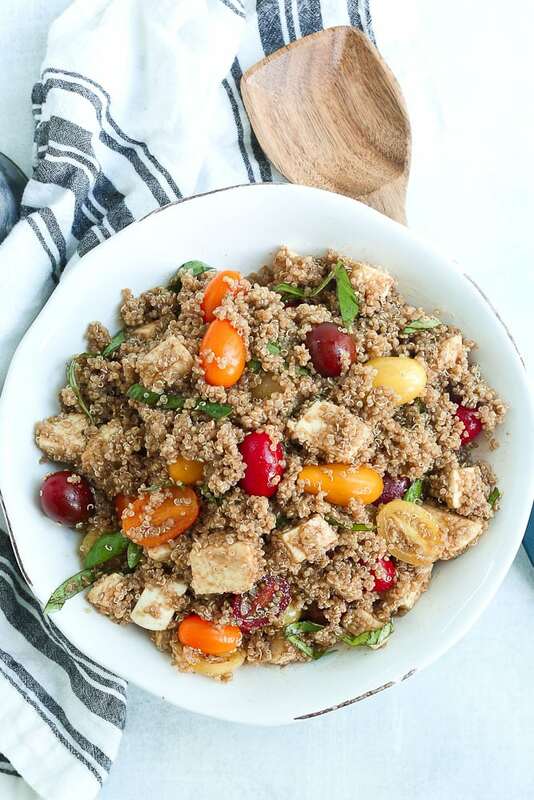 If you make this Quinoa Caprese Salad, or any Happy Healthy Mama recipe, I would LOVE to see it! Please take a pic and share it on Instagram or the Happy Healthy Mama Facebook page and tag me @happyhealthymama ? 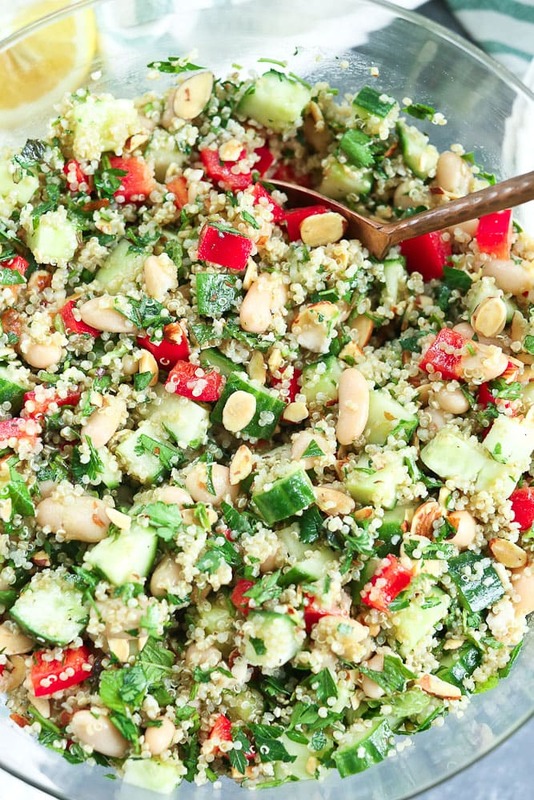 Want more Quinoa Salad goodness? 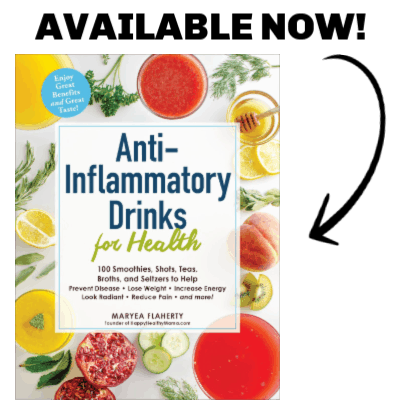 Try one of these favorites! Very nice! 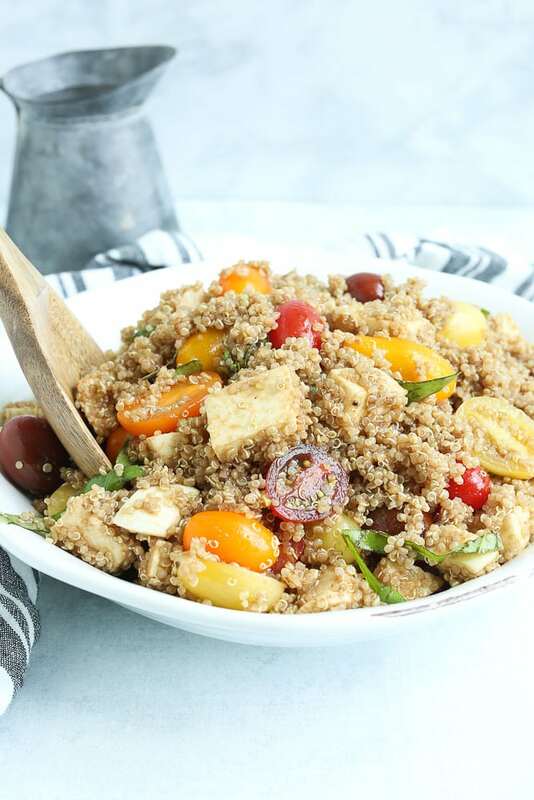 I’ve been probing for recipes that for the salad.i used to cook vegies,but i didn’t make quinoa salad till now.so i wanted to try it.this recipe seems interesting.i will try this for sure.The ingredients area unit straightforward and also the procedure area unit really easy to follow. 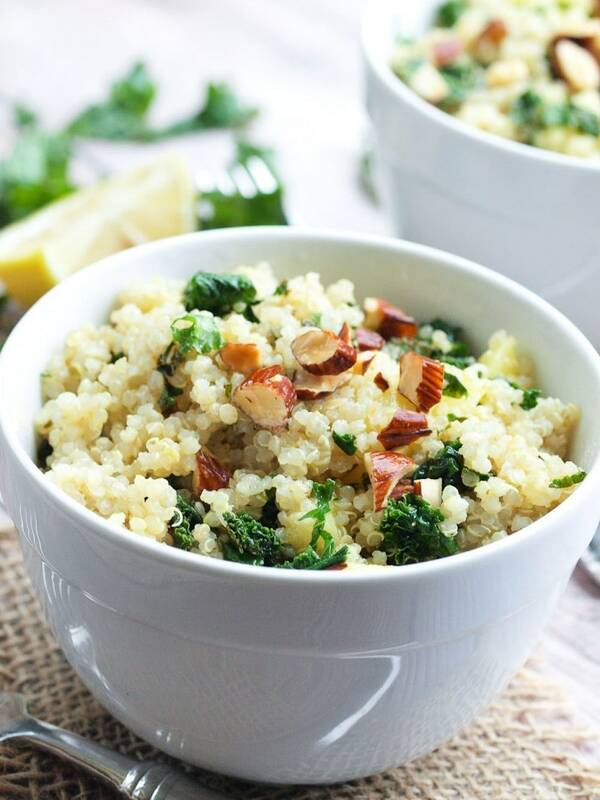 i like bay quinoa, and adding quinoa enhances the flavour. this is often an exquisite dish for people who area unit in an exceedingly hurry and for people who wish to eat a lot of healthy food.